Frederick Walter Budd was the son of Walter and Annie Budd of Mauriceville, born in 1892. He was an only son, with seven sisters. By the late 1890s, Walter was on the Dreyers Rock School committee so his children attended there. As a young man Fred served in the 17th Ruahine Regiment of the Territorial Army. By 1915 Fred was working as a labourer for Albert Rose, a Mauriceville farmer. He enlisted in October 1915, joining 4th Battalion of the N.Z. Rifle Brigade. A photo among Fred’s effects of Rangiotu Camp in the Manawatu suggests he was in camp there before spending some time at Tauherenikau Camp, crossing the Rimutaka Range to Trentham in late January 1916. He sailed on 5th February on the troopship ‘Mokoia’ as part of the convoy carrying the 3rd and 4th Battalions of the Rifle Brigade. His unit arrived in Suez in March 1916 and soon after, sailed for France with the N.Z. Division. 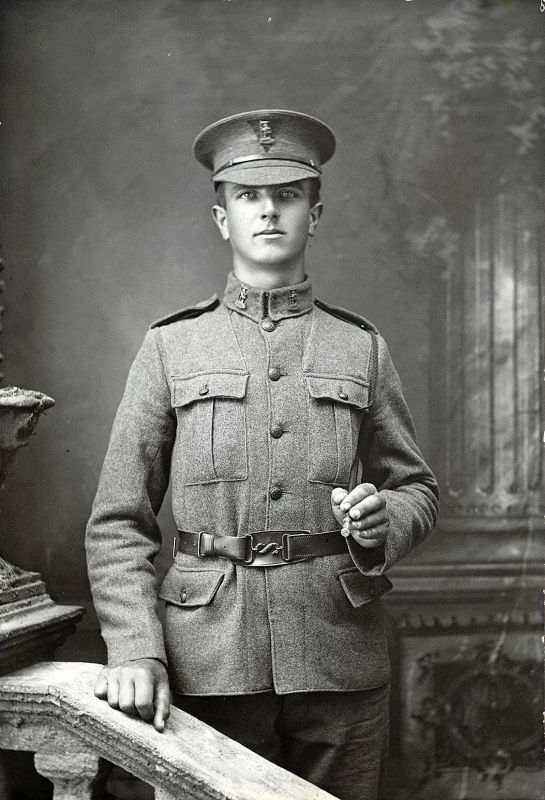 In August 1916 Fred was promoted to lance corporal. Soon after, the Division took part in the Battle of the Somme. Fred was wounded on 19 September but returned to his battalion for duty. On 24 September, in fighting near Flers, he received multiple gunshot wounds and was taken to the 38th Casualty Clearing Station where he died on the 25th. He is buried at Heilly Station Cemetery (between Amiens and Albert), the location of several casualty clearing stations in the 1916 and 1918 Somme battles. He is commemorated on the Mauriceville and Masterton war memorials.